A year has gone by since the name Just Matters was first spoken. Starting off as an Acapella writer, in March 2011 Matters made the switch to the studio. 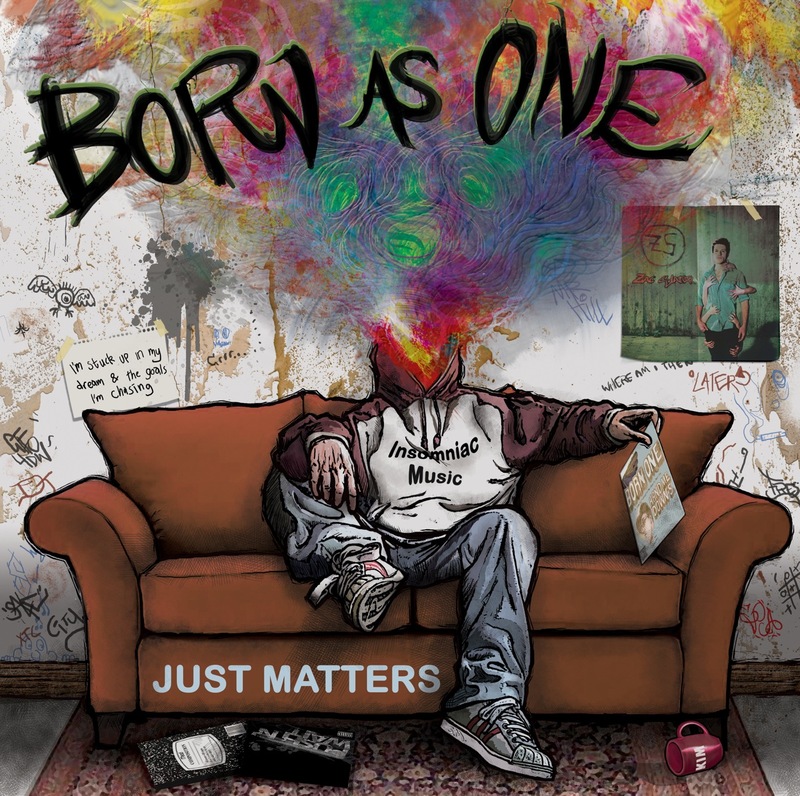 Just Matters now brings you his debut original the Born As One EP. Just worked with numerous artists before launching head first into the creation of his own EP. One of those initial projects involved Brisbane artist Heap-Rize, the result a track by the name of Interruptions, which received air time on triple j unearthed Radio. Just Matters was also in contact with producer Cam Bluff, who at the time was working on a few side projects away from his main position as Beat-maker in the Vegas Aces outfit. Matters was a huge fan of Bluffs big brass style, and thought the sound was perfect for his debut original piece. Cam agreed to work with Matters as an executive producer along side the sounds of Dave Redi (Amsterdam), Chase Moore (San Francisco) and Soul Marauder (Brisbane) as co-producers. The Born As One EP is out now and features Mr. Hill, Kimberley Mowat, Zac Slater and Chase Moore.